Evolution Commercial Co., Ltd is a company which offers a low overhead boat building in Australia. In 2013, HZZ IRON AND STEEL CO., LTD gets the inquiry of Evolution. 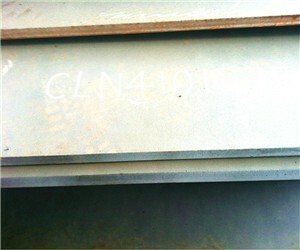 Shipbuilding steel plate is required. And the delivery period is urgent. So HZZ suggests to offer the stock in the market. Sourcing all of the stock list, HZZ finds GL D36 20mm thickness plate is available. But the stock plate shall be cut into pieces. Flaming cutting is workable in HZZ. Before placing the order, Evolution checks the MTC (Mill Test Certificate) and confirms all the details. Everything is assured by HZZ. Then the plates are packaged in the container and shipped to Australia. Now, Evolution Commercial still keeps in touch with HZZ for shipbuilding steel plates.